In the sport of bobsledding, everything must come together perfectly at the crucial moment: The talent of the athletes, the technology of the bobsleds, and a necessary bit of luck. Schaeffler is supporting the German bob sled pilot Nico Walther with rolling and plain bearings that meet the highest requirements. There are two runs that each last less than 60 seconds. In bobsledding, everything must come together during a single minute. The first five seconds are decisive as they determine how much energy the bobsled has for its journey through the ice channel. Because in addition to the gradient of the track, only the muscle power of the pushers provides propulsion at the start. After that, it is all down to the pilot. He steers the bobsled with steering ropes, which move the front runners via spherical plain bearings and levers. It is then important to find the ideal line, which ensures that the bobsled loses as little energy as possible during the short run. Even the smallest steering movement at the wrong place can decide the outcome of a race if the runners dig into the ice and generate too much friction or if the bobsled swerves sideways and slides transversely to the direction of travel. With a maximum weight of 390 kilograms, the two-man bobsled speeds through the ice channel. Nico Walther reached a speed of 130 km/h in Altenberg. You need a lot of intuition and feel to steer a bobsled. I must be able to feel what is happening under me. “We don’t have a motor and can’t regain any speed lost through braking”, explains Nico Walther. The 27-year-old bobsledder from Oberbärenburg in the Erzgebirge (Saxony, Germany) is a pilot in the two-man and four-man bobsled. “You need a lot of intuition and feel to steer a bobsled”, says Walther. “I must be able to feel what is happening under me.” Maximum speed counts in the ice channel in order to gain the decisive hundredths of a second. 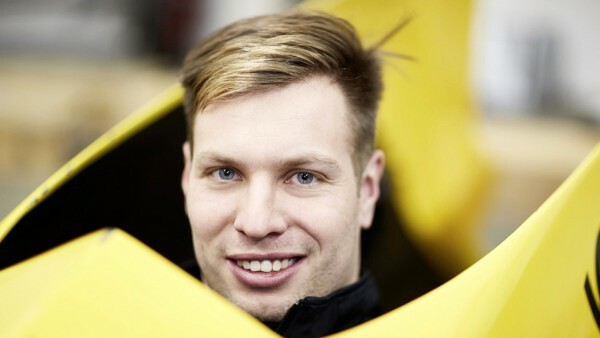 At the beginning of January 2018, Walther led the German four-man bobsled to victory with a speed of almost 130 km/h in Altenberg (Saxony, Germany). At the track in Whistler, Canada, he reached a speed of more than 150 km/h. Bobsled pilots must not only perform at their best at precisely the right moment, they must also combine two very different qualities. During the first 50 meters, only the brute force and speed of the pilot and his pushers count as they bring the bobsled up to speed in two-man or four-man teams. They then jump into the sled and duck down behind the pilot in order to reduce air resistance to a minimum and the pilot takes command. I know every mistake that you can make. This gives me the necessary intuition. “From that point onwards it’s all about sensitivity and not force”, says Walther. During the high-speed run, he moves the steering ropes by no more than two or three centimeters and thus the runners by 10 to 15 degrees from the neutral position in order to steer the vehicle. The boundary conditions for a steady hand are not exactly ideal because the irregularities in the track often generate vibrations and shocks in the bobsled. In addition, the centrifugal forces in the curves are enormous and reach up to 5 g, i.e. five times the acceleration due to gravity. 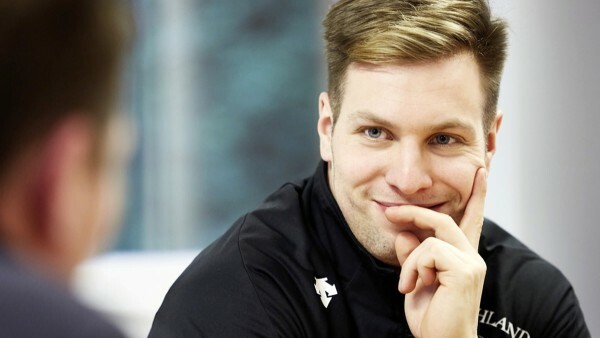 “When I’m driving, I benefit from the experience I gained in the ice channel as a six-year old.” Walther, who grew up only three kilometers from the luge and bobsled track in Altenberg, started his winter sport career – firstly as a luger – around the same time he started school. “I know every mistake that you can make. This gives me the necessary intuition”, he says. Nico Walther started his winter sport career around the same time he started school. He was sledding in the ice channel as a six-year old. In the sport of bobsledding, the bobsleds are as important as the athletes themselves. “The ratio is 50:50”, says Walther. “The best pilot cannot perform well in a bad bobsled, and the best bobsled will not help a bad pilot win.” Only a “handful” of manufacturers manufacture the torpedo-shaped bobsleds worldwide, which Walther describes as the Formula 1 cars of winter sport. Nico Walther during a test sitting: In bobsledding, feedback from the athletes is decisive for optimizing and further developing the bobsleds. Athletes and developers are constantly exchanging information. The technical development depends on our feedback system, with which we precisely adjust the components and the entire vehicle to suit the athletes. In his competitions, Walther drives bobsleds developed by the Institute for the Research and Development of Sports Equipment (FES) with support from Schaeffler. They comprise of two parts, a so-called front cowling and a rear cowling, which are connected to each other by an articulation joint. The front cowling can rotate relative to the rear cowling around the longitudinal axis of the bobsled with the aid of a bearing journal. The steering box on the front cowling can also rotate about the same axis. “This is important for traveling around corners because otherwise the rear cowling could lift in the corners and the bobsled could fly off the track,” explains Enrico Zinn, who is driving forward technical development of bobsleds at FES. Zinn and his team receive feedback from the pilot after every run – for example, whether the steering was adjusted directly enough – which is then used to further improve the bobsled. “The technical development depends on our feedback system, with which we precisely adjust the components and the entire vehicle to suit the athletes”, emphasizes Zinn. The individual components of the bobsled must meet high requirements due to the enormous loads. 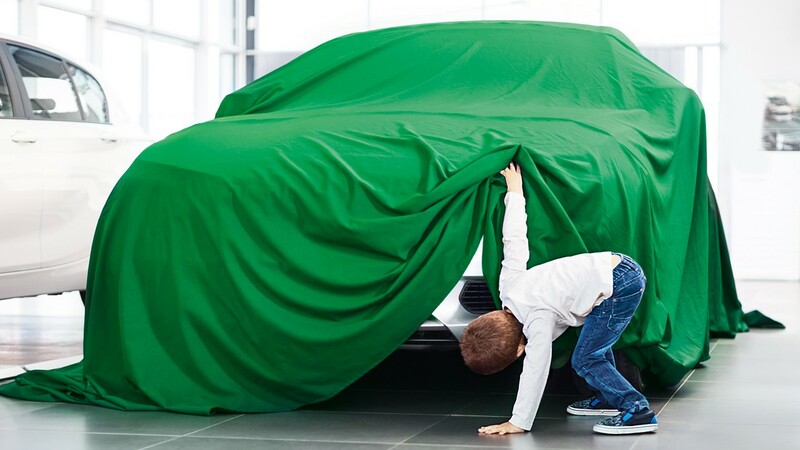 In order to provide the articulation joint with the required strength, the two Schaeffler tapered roller bearings used in this joint must have a high static load rating and an insensitivity to shocks. The ice surface of the bobsled track is never perfectly flat, but is formed into different radii by the ice master, which generates high loads at high speeds. In addition, the bearings and the joint must have high rigidity in order to hold the front cowling and rear cowling in the correct position relative to each other and to prevent flexing due to the high transverse acceleration. The most important factor, however, is to minimize the bearing clearance using the correct preload for both bearings. “As soon as there is clearance in a bearing position, performance is reduced and the bobsled is slower,” says Zinn. 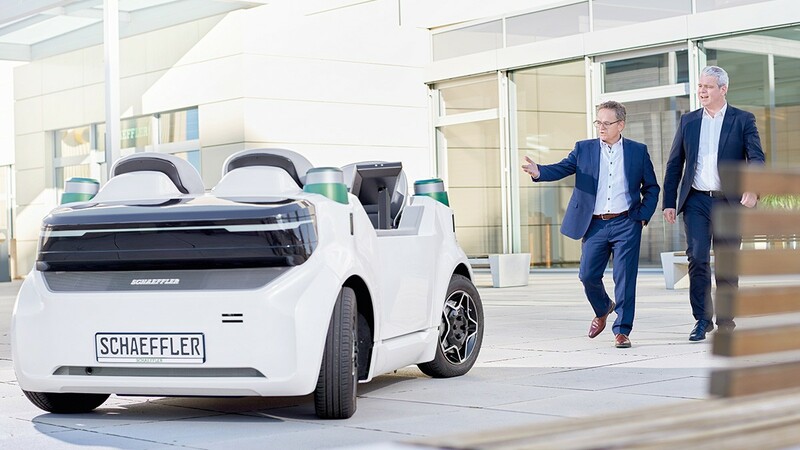 The plain bearings, which Schaeffler develops for the steering system, must also have a high static load carrying capacity in order to achieve a sufficient operating life despite the enormous vibrations. In addition, the steering bearings must operate smoothly to ensure that as little friction as possible is generated when steering forces are transmitted to the runners. “This is important to ensure that the pilot can feel the steering directly” explains Zinn. “Only this way can he develop the sensitivity required to help him win in the end.” In the hunt for gold, everything must come together perfectly at the crucial moment: The talent of the athletes, the technology of the bobsleds, and a necessary bit of luck. 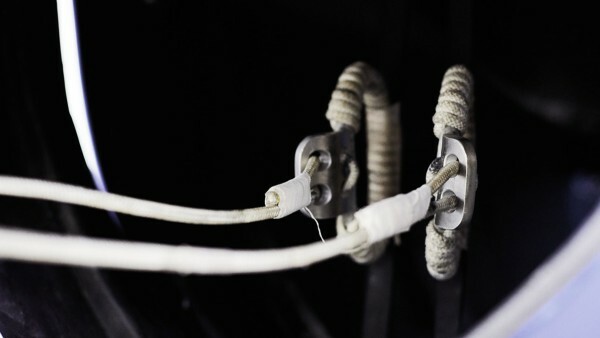 Steering a bobsled requires sensitivity: During the high-speed run, the pilot moves the steering ropes by no more than two or three centimeters and thus the runners by 10 to 15 degrees from the neutral position.